Let’s talk about the business casual dress code, the difference between formal and casual style and take a look at another wonder wardrobe example for work. Layering is easier than it sounds. You just need to understand a few basic principles, and then the rest will fall into place. I would like to give you some outfit formulas that you can try with clothes you already have and see for yourself which ones suit you better. Maximise Your Wardrobe’s Potential with this curated newsletter. Subscribe to our daily newsletter to get my advice, thoughts and tips on sustainable wardrobe building. We respect your privacy and don’t sell your email. Wonder Wardrobe will use the information you provide on this form to be in touch with you and to provide blog updates, educational content and marketing via e-mail. Thank you! We sent you an email to say hello :) If you can't find it, please check your spam folder. A list of 100 affordable brands from all around the world that create amazing clothes that you are going to love. Now you have a choice in your price range, but also a great opportunity to make your wardrobe more personal, eco-friendly, sustainable and help our planet. And there’s no way you won’t take it. The Mindful Fashion Consumer Guide will start you on your discovery of some great items and actions to take towards a more mindful shopping. Let's look into the fabrics we choose and how they impact the quality of our clothes as well as the environment. Wear It For Good Series. Most of the information out here talk about how bad the fashion industry is without providing any alternatives or solutions. I find that complaining about something is not constructive at all, that’s why today I’m starting a mini-documentary series called ‘Wear It For Good’. Learn how to begin building the perfect wardrobe from scratch on a limited budget, where to start, what to buy in the first place and how much money you’ll need. Stop buying on impulse, shop only clothes you need and get control over your spendings. How to dress different body types according to a well-known industry standard called The Body Harmony principle. This principle will show you how to dress in such a way that you always look good. Looking good is a thing we all aim for, but it’s hard to achieve since there are a lot of different body types. This Visual Correction Principles Video will help you identify your body type and use clothes to accentuate your best attributes. 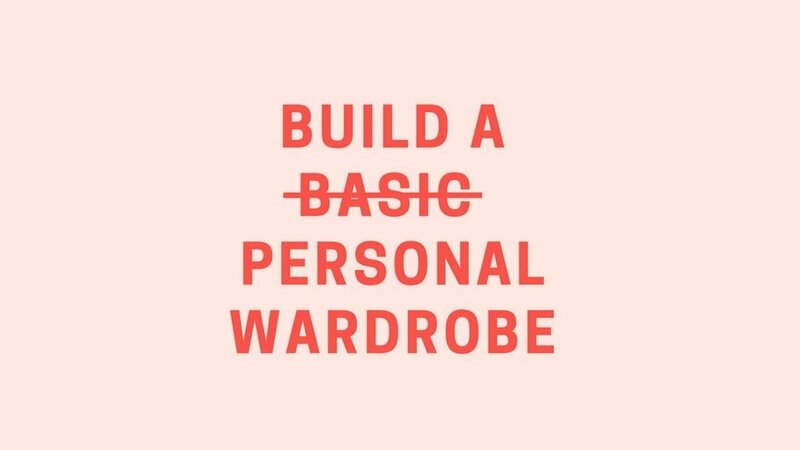 I get so many questions about the basic wardrobe that I think it’s time we understood what is a basic wardrobe and if we really need one. Also inside this video, you'll find a wardrobe exercise that can be a great starting point towards expressing your true self without making lots of changes in your wardrobe.